Whose not obsessed with pineapple these days?! Really though, is there a cuter fruit? I’ve been obsessed since last summer, and the obsession continues on strong, as I’m craving pineapple prints all day, errrday. Do you ever have one of those days where you just throw on a tank and shorts and head out the door? 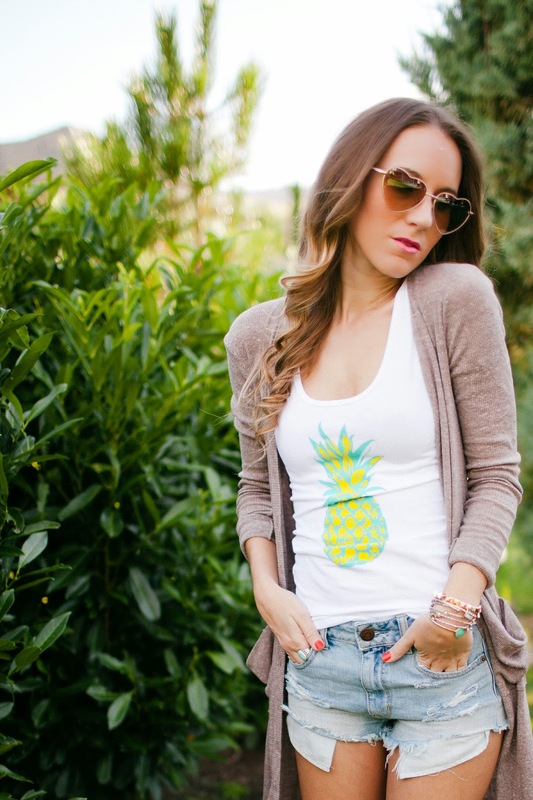 Cute pineapple graphic tanks make for a fun, tropical statement to spice up that plain combo. Add a cardi or light-weight jacket, a wrist full of arm candy, and sneakers and you are good to go! I’ve added a few new items to my Shop My Closet and you will probably recognize them! Previous Post Royal Stripes and a Giveaway! Pineapple is definitely the cutest fruit, love your tank! In love with this casual look, it's perfect!! How cute are you! I love that tank and those keds are adorable! Such a cute tank! 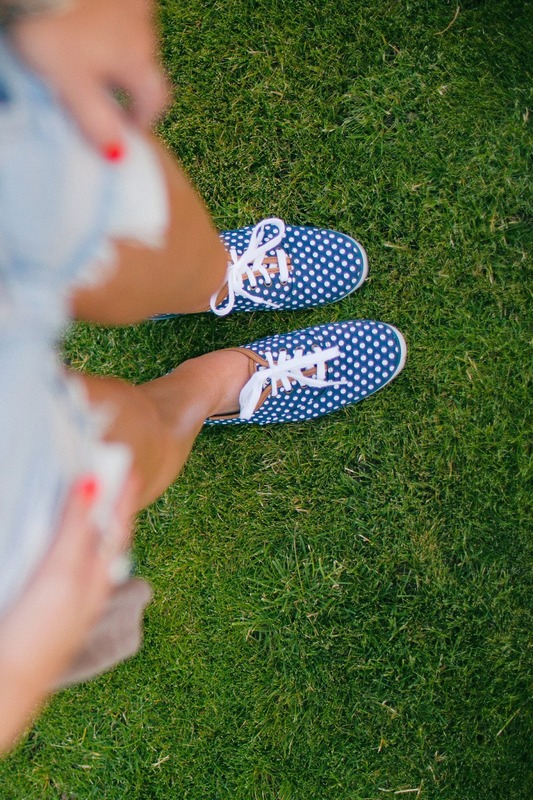 Love it with the cutoffs and oooo those keds!!! So cute. Also I'm craving so much of the stuff you've added to your shop…if only we were the same size, ahhh! Oh yes, sometimes tank tops and shorts are the best ensemble for lazy days. 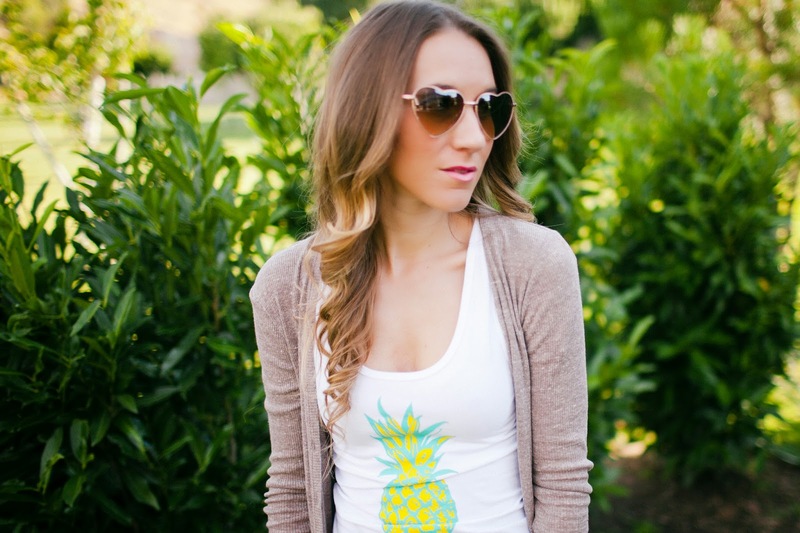 Love the pineapple top, it's so Summery! I have a thing for pineapples! 🙂 Cute top and cute look!